Servicing Jacksonville, Jacksonville Beach, Ponte Vedra Beach, St. Augustine, Amelia Island & surrounding counties. 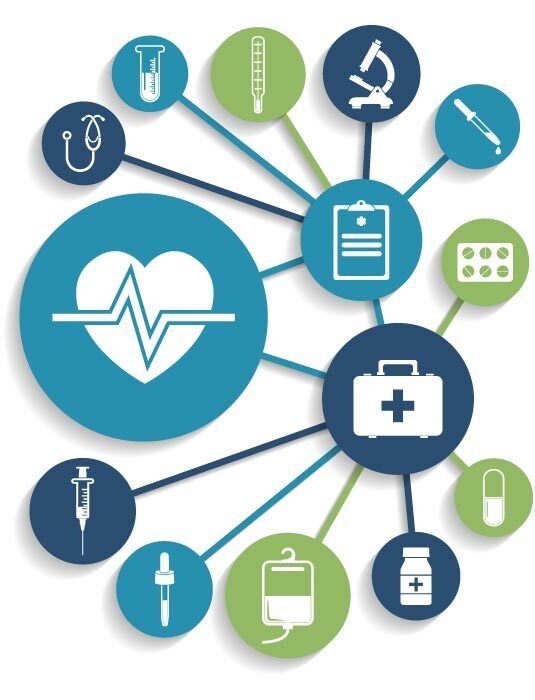 The healthcare industry has evolved to become a consumer centric entity. Healthcare providers from all specialties must adapt their model from being a (retail) or basic transactional business to that of a consumer driven, online powerhouse. Regardless of your practice size, consistency is key to a successful practice. At 4 Elements Agency, we specialize in helping physicians create a brand and message distinguishing you from the competition in your local market. Every online marketing strategy we implement has 4 key elements that will help your business grow. Website Design: We build responsive, highly engaging websites for the medical industry. Our designs are clean and creative, focusing on maximizing the patients’ interaction with your website. Quality Content: We write compelling content that is highly informative and patient centric. Our writing formula will help you build trust as the industry expert with both the patient and the search engines. Placement: Being found organically in your local market for the services you provide is key to growing your patient base. We rank you competitively through our highly effective Jacksonville Medical SEO. Analysis: Reviewing your websites data and conversion tracking will help us get a better understanding of user engagement. Online marketing is never static, which is why our data analysis helps us refine our programs to better assist with your conversion rates throughout the course of your online marketing campaign. Having worked with many different physicians throughout Northeast FL, we pride ourselves in providing custom website design and Medical SEO services. We offer full website plans with team member support. Our plans put you in the driver’s seat. We become an extension of your business, freeing up your time to focus on more important issues like managing your business, rather than trying to manage your website. More importantly, we will make your practice look good by designing an aesthetically pleasing medical website that highlights your expertise and professionalism. Helping you close more leads! NEED HELP DESIGNING OR REDESIGNING A WEBSITE? With over 25 years of combined digital marketing experience, 4 Elements Agency has been helping small to medium size businesses grow throughout Northeast FL. If you are in need of website design, SEO, social media management or content writing services and would like a free website consultation, contact us today.